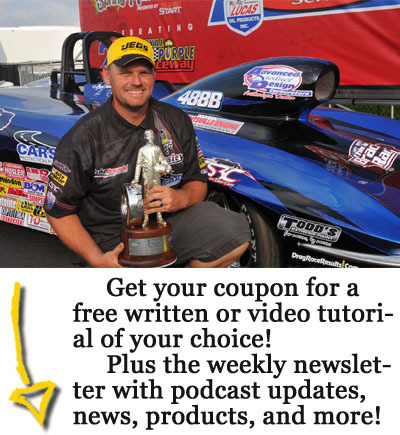 In this week’s episode, 2-time IHRA World Champion and current points leader Danny Waters, Jr. helps the guys break down the IHRA finale and the championship contenders in each category. In addition, Luke and Jed cover last weekend’s national, divisional, and E.T. Finals events, and preview the upcoming Fall Fling. Plus, Luke tries to explain what the heck he’s doing in Salt Lake City and they debate the idea of giving a time trial in the middle of competition.